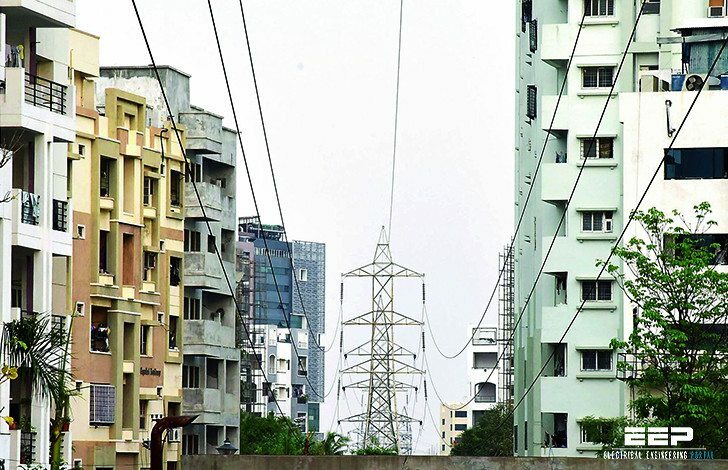 How Dangerous Are Induced Currents In Transmission Towers And Poles? 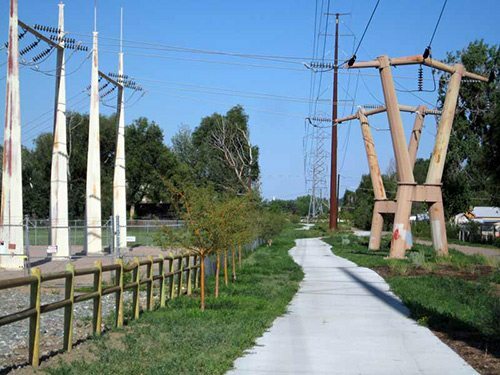 Home / Technical Articles / How dangerous are induced currents in transmission towers and poles? Landowners and developers should be aware of the potential for nuisance and startle shocks (caused by induced voltage) that can occur when someone comes in contact with a large conductive object (eg. a vehicle, building or even fencing) located on or off the right-of-way. These shocks are known as ‘nuisance’ or ‘startle’ since they will not physically hurt someone, but will be noticed by some people and provoke a startle reaction. These touch currents occur when a grounded individual touches an ungrounded object while standing in an Electric Field (e-field). Conductive objects when placed in an e-field attract a charge, and a person touching that object can experience an annoying or startling shock when a person’s body provides a path to ground for the current to follow. Electric fields emanate from any conductor or wire that carries voltage. Higher line voltages produce higher electric field strengths. The closer the conductor is to the ground, the higher the field strength beneath it tends to be, and the increased possibility of shocks. Larger objects such as a building or a large vehicle have the capability of a larger charge and therefore the shock could be more noticeable. Backyard metallic objects such as swings, portable grills and lawnmowers have been known to deliver similar shocks. Ungrounded metal wire fences can also receive sufficient charges to cause nuisance shocks. 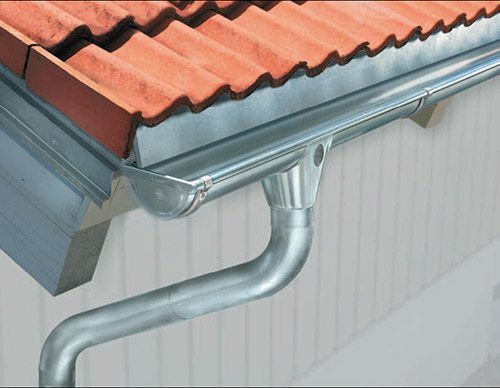 During building construction, workers have also received shocks when installing ungrounded gutters and downspouts on structures built close to the edge of the right-of-way. Homeowners may also experience shocks when cleaning gutters if the gutters are not properly grounded. People or animals can receive a shock by touching a metal object located near a transmission line. The shock is similar to that received by touching a television after walking across a carpet. The magnitude and the strength of the charge will be related to the mass of the ungrounded metal object and its orientation to the transmission line. Induced current can be prevented or corrected by grounding metal objects near the transmission line. Grounding chains can be installed on tractors. Metal fences can be connected to a simple ground rod with an insulated lead and wire clamp. Electric fences with proper grounding should continue functioning properly even when subject to induced voltage. Refueling vehicles directly under a high-voltage transmission line is not a good practice. A spark from a discharging metal structure with induced voltages to earth could ignite the fuel. The risk of such ignition is higher with gasoline-powered vehicles than for diesel-powered vehicles. Typically, buildings and storage sheds will not be permitted within the utility corridor, and are not a particular concern. However, lower electric field strengths also can exist outside of the corridor and buildings outside of the corridor should be considered. For structures outside the right of way, it is easy to reduce the potential for startle or annoyance possibilities by attaching a ground wire to the metal roof. This protection also provides a measure of lightning protection for the structure. Buildings entirely made of metal are not normally of any concern because they are often inherently well grounded, but exceptions might exist for structures on wood foundations or on a high-resistance material. Again, it is usually a simple matter to ground such objects if necessary. In the same manner, rain gutters on a large house fairly close to the transmission line could conceivably deliver a perceptible shock to a person on an aluminum ladder. Quantitative worst-case analysis of any particular case can be difficult, but it is possible to determine if reducing the potential for perceptible shocks is a prudent precaution. It is a simple procedure to attach a wire to the downspout and ground it to a metal water pipe or a driven ground rod to mitigate shock effects. Long fence wires that are strung on wooden posts can present shock possibilities if they run more or less parallel and close to the transmission line. The insulation quality of the wooden posts is the controlling parameter. Perpendicular fences will have significantly less induced current and voltage. When exposed to the weather, even wooden posts are not perfect insulators. The lack of insulation will reduce the induced voltage on a fence wire and will limit the magnitude of a spark discharge. Nevertheless, some fences could be insulated enough by the posts to make contact currents annoying when the fence is touched. This type of fence would have to be close to the line and quite long before it produced annoying currents. Long fences are often grounded by contact with growing vegetation. If grounded in this manner, electric field effects will be reduced, although magnetic field effects will remain unaffected. The possibility of annoyance due to electric field induction could be eliminated by solidly grounding the fence at a single point, such as with a metal fence post. For an “electric fence,” this is accomplished with a special filter designed to drain only the induced charge. However, a fence that is grounded at one or more points and otherwise insulated along a sufficient distance could present some opportunity for noticeable magnetic field induction effects. Reducing the potential of these effects requires electrically breaking the fence into smaller grounded sections. Electrostatically Harvesting Power from High Voltage Power Lines. Note from author: Please do not try this experiment without a thorough knowledge of electricity! Please understand that it is illegal to take power from power lines. This is an experiment only. If you run a single wire along a high voltage power line, (= or> 340KVAC), you will harvest a fair amount of voltage at micro amp levels. WARNING: KEEP AT LEAST 30 FEET FROM THE HIGH VOLTAGE LINE!! DO NOT DO THIS EXPERIMENT ON WINDY DAYS!! The longer the parallel wire, the higher the voltage and amperage you can collect. Run your (antenna wire) parallel to the power line in the trees adjacent to one outer phase of the power line. The higher the wire, (antenna), the better. Use small gauge bare wire hung from fishing line for insulation and support. Run at least 200 feet of bare antenna wire. 400 feet equals twice the power collected. Use a fishing pole and weight to put up the wires in the closest branches of the trees next to the HV line. WARNING, DO NOT TOUCH THE ANTENNA WIRE! YOU WILL GET SHOCKED! I recommend two pairs of rubber gloves and good boots for this. Ground the Antenna wire while you work until the transformer (s) are installed and you are ready for power. Provide a single or several 5 foot copper-plated ground rods at your termination point for the transformer high voltage return to ground. More grounds are better. The ground completes the high voltage antenna circuit. The trick is to present a minimum load to the antenna wire and to step down the electrostatically induced voltage. We need a very high voltage transformer to do this. A ham radio plate transformer rated at 10,000 volts works good. Neon sign transformers work well. You can use several used oil burner transformers with the secondary in series. They are 10 KV each so you can make a 50 KV secondary with five of them. Much better! Remember, the higher the transformer ratio from the high side to the low side of the transformer the better match you will have to the source (the power line antenna). We then connect the high voltage transformer secondary (HV) winding to the antenna and the ground. Separate transformers MUST have the 120 volt leads in parallel and IN-PHASE. You have created a capacitive-coupled step-down transformer. Place a 4 watt, 120 volt light across the 120 volt terminals of the transformer. If the light pops and you measure a higher voltage, you may add another single transformer to get to the voltage you desire from the HV transformer (s). You need to measure the AC voltage out of the HV transformer primary and find a 120 volt transformer for that voltage. Example: 600 volts out requires a 600 volt secondary and a 120 volt primary. Place this step-down transformer after the HV transformer. You may also ground the far end of the antenna wire to create electromagnetic coupling to the power line. No other circuit changes are required for this. Bring along some different wattage/voltage lamps, a car battery charger and small battery and some small AC motors to see the power you have collected. Have fun! Author: I am purposely not saying I ever did this. Work safely and remove the antenna when done so it will not blow into the high voltage power line. There are protection standards for human exposure to this EMF ? Where can i find more info? Thanks! Mr. Edwards for such an informative piece of article. But I wish one clarification about touch currents that “they occur when a grounded person touches an ungrounded object”. How the path for touch currents to flow is going to be completed when a grounded person will touch ungrounded object. I know my question needs more information and is not accurate enough! But any idea how much current (approximate) would pass from each phase of typical 100kV transmission line? Very useful for an Electrical Engineering Teacher ! for metallic objects nearby transmission line..Samples on design and real installation of grounding system will make this article perfect. That is very interesting, I’ve often wondered about this. Terry, the article Edvard wrote is fairly accurate. While you are correct that a moving conductor in a magnetic field will produce a voltage, the electric field will create a trapped charge on a large metallic object that is separated from the ground by a dielectric substance. An example is a large vehicle or truck sitting on rubber tires. Another example is a long fence mounted on wood fence posts. It is just a large capacitor. The amount of charge is determined by the factors Edvard describes. Standards such as the U.S. National Electrical Safety Code have requirements on clearances of transmission lines above 98kV such that the potential current that could be developed is below the specified level of 5 mA. While a discharge of such a level can startle or even be painful, it is not considered hazardous and is not at a level that would typically cause a cardiac pacemaker to malfunction. Very useful for our electrical engineers ! Interesting article. I find the term “electrical field” to be somewhat inaccurate. There is a field around all current carrying conductors but it is a magnetic field. Moving another conductor through this magnetic field or the rise and fall of the magnetic field (AC) over another conductor will induce a voltage in the second conductor. Current will be determined by the resistance of whatever (or whoever) completes the circuit to ground.